You will feel Indulged holidaying in this stunning architecturally designed townhouse. 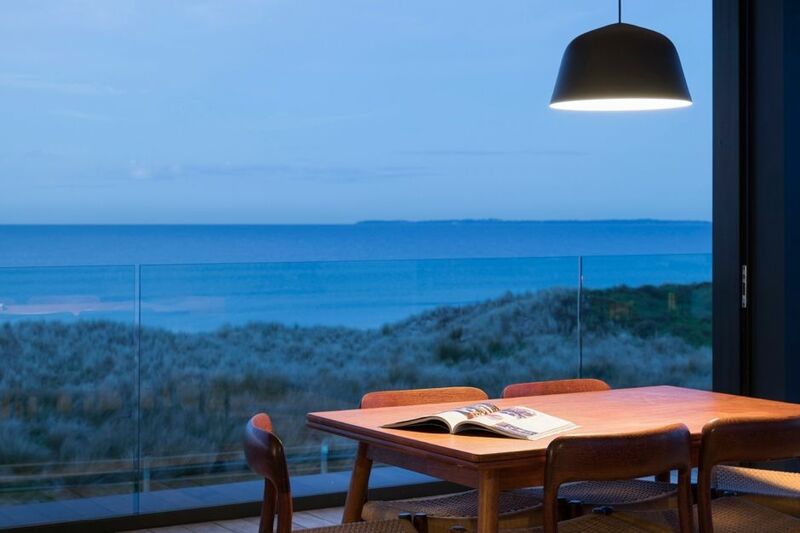 Relish the views of the ocean which can only be described as breathtaking from the top level where the high stud sliding doors open up for you to enjoy the cool breeze, sunshine and ease of space also allowing for the perfect indoor outdoor flow. Set over three levels connected by a spacious lift makes it perfect for family escapes. With three of the bedrooms on the second level and 1 bedroom and large converted garage on the first level there's plenty of room for everyone! This north facing architecturally designed modern home is highly specified with industrial touches including polished concrete walls and herringbone flooring throughout. Guests can also enjoy the use of the surfboard, skateboards and the two bikes. The townhouse is located within easy walking distance to cafe's and supermarket. Approx 7 minute drive to downtown Mt Maunganui and The 'Mount' Also 5 minute drive to ASB arena, Blake Park and Bayfair shopping center. Not suitable for toddlers as the staircases are not child friendly and not able to be blocked off. One small to medium sized dog allowed ON APPLICATION. Not to be left alone to bark. Must be under control . This property was incredible and proved ideal for us as we all gathered to celebrate our sons wedding at The La Orangrie in Ohauiti. The views were fanatstic, as we had photos on the deck with the Groomsmen . The Loft was very well equipped ,very modern and extremely clean. It was a pleasure to stay here. We took the linen option which I suggest people do. Beautiful views, cool interior design! We loved our stay here, it is a gorgeous property. Loved the bikes, home theatre, drinks trolley was v cool! Really comfy & relaxing. Great location right next to the beach. Would love to stay here again. We stayed here for our wedding. It was the most incredible house, in the most incredible location. We loved every minute of our stay, especially for our friends from overseas. Thank you so much, can't wait to stay here again some day! Lovely house with amazing view! Well equipped.